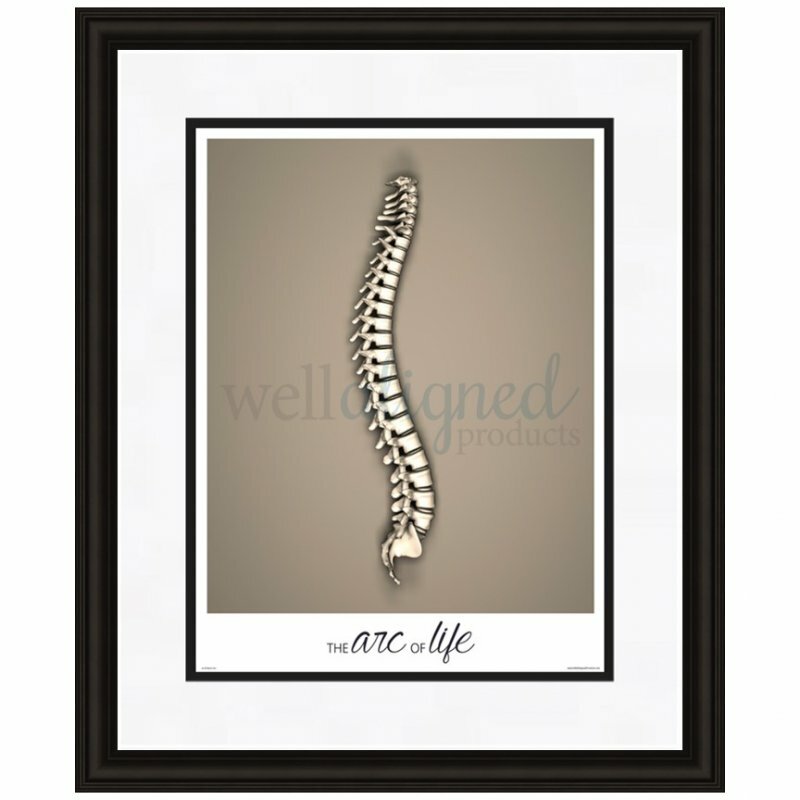 A chiropractic classic with impeccably modern style! 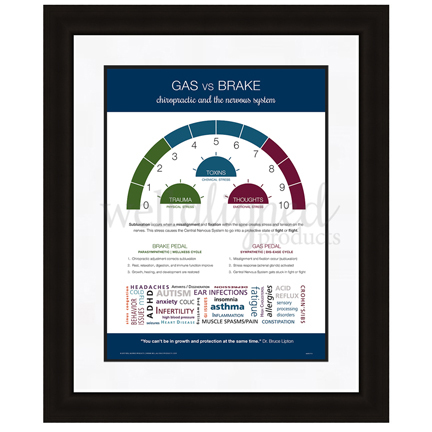 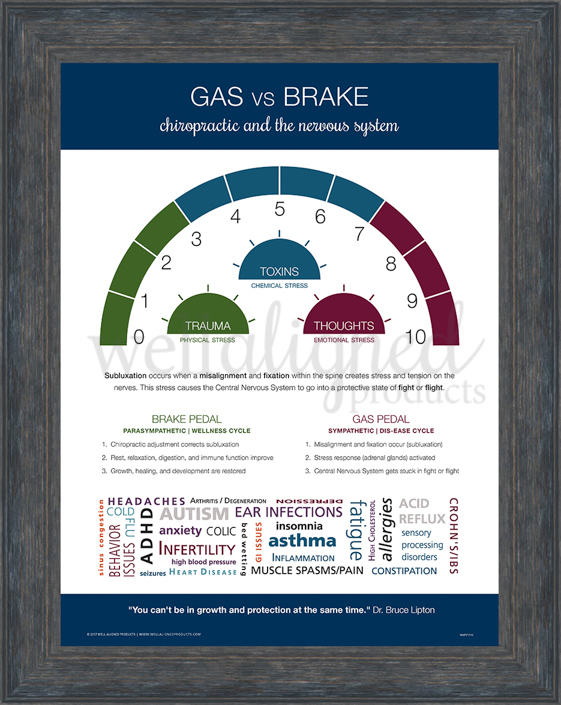 The functional layout and design make this poster an absolute must-have product for every adjusting room. 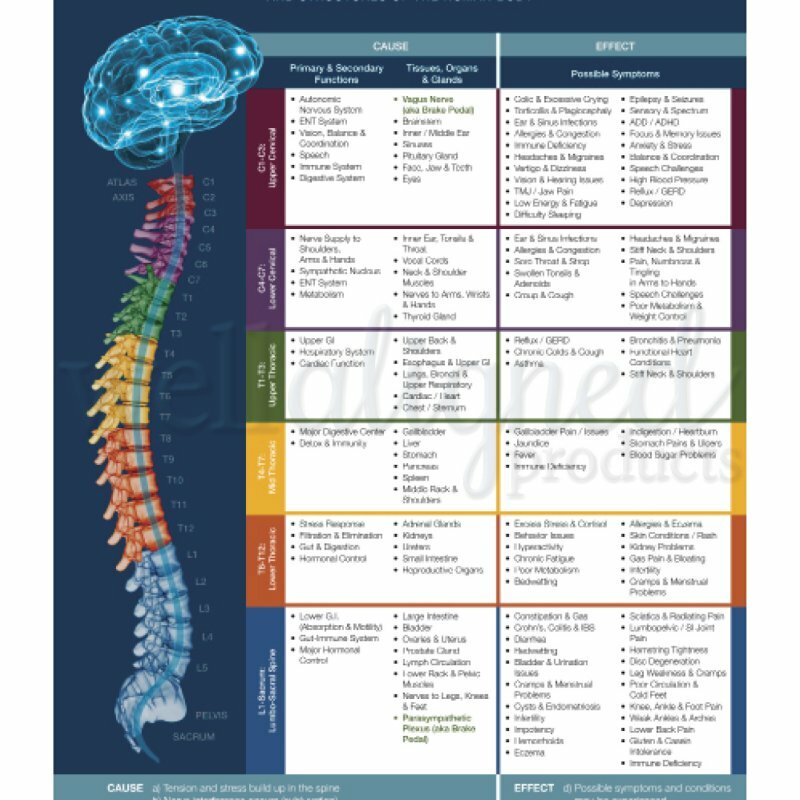 Use the poster help educate your patients how their symptoms relate back to subluxation, and the function of their nervous system! 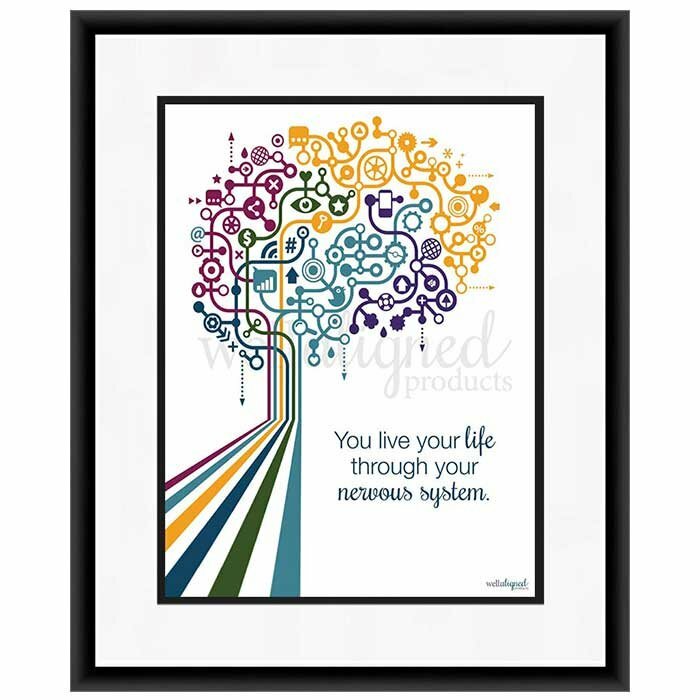 Sold as an 18″ x 24″ poster. (Frame and mats not included.) 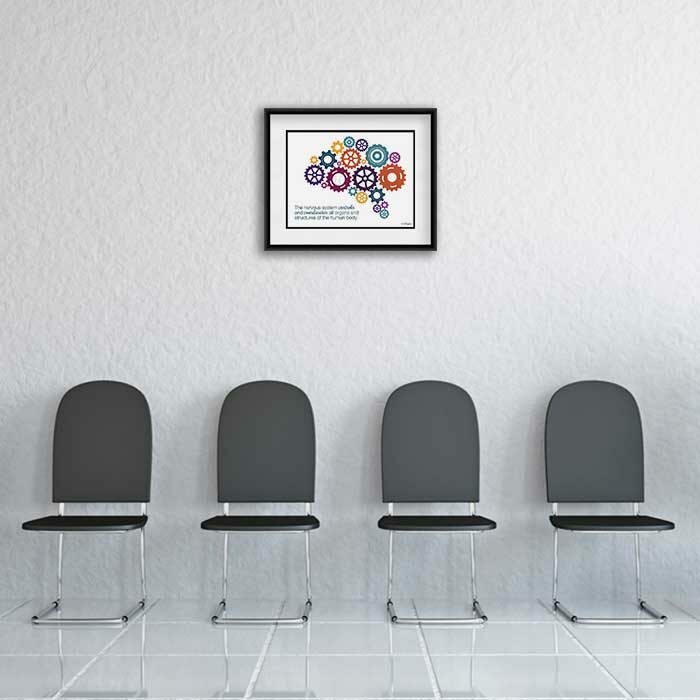 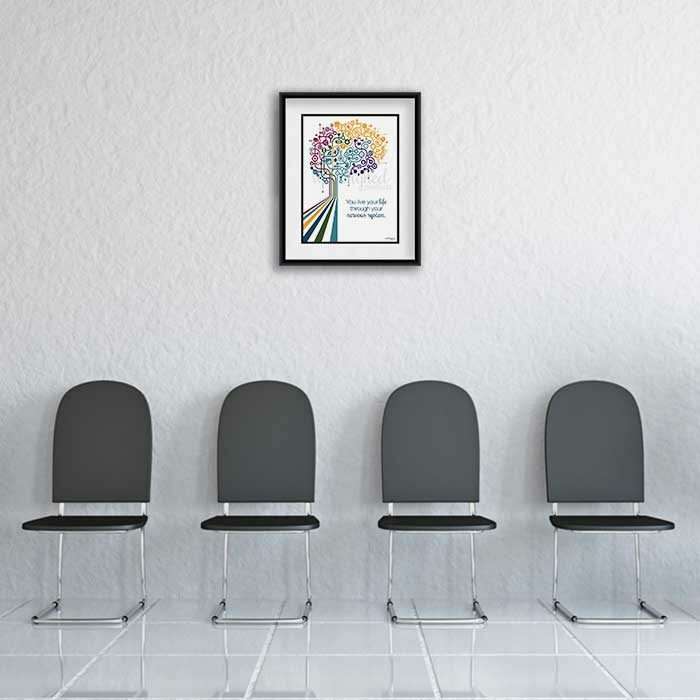 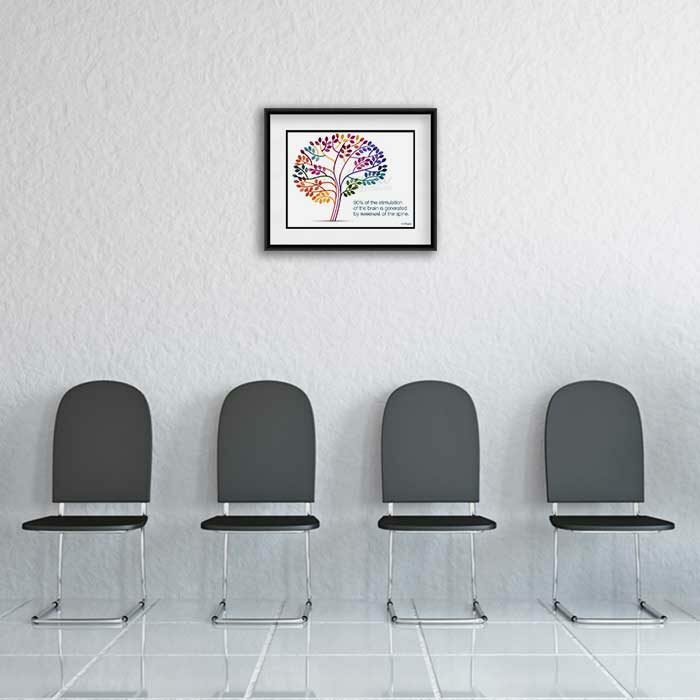 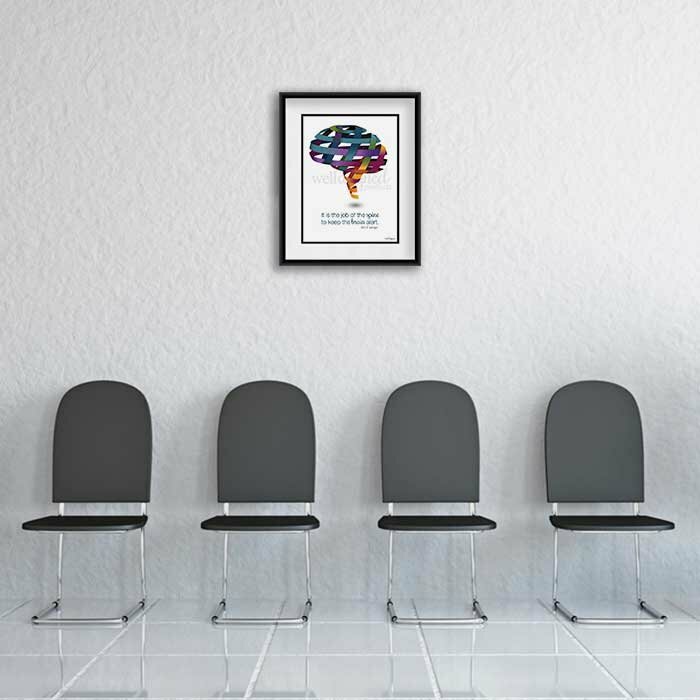 This design is also available as patient handouts or a larger 24×36 poster. 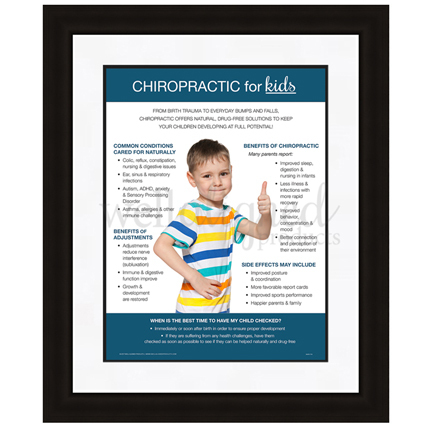 A clean and simple poster to help parents understand the importance of chiropractic care for the whole family. 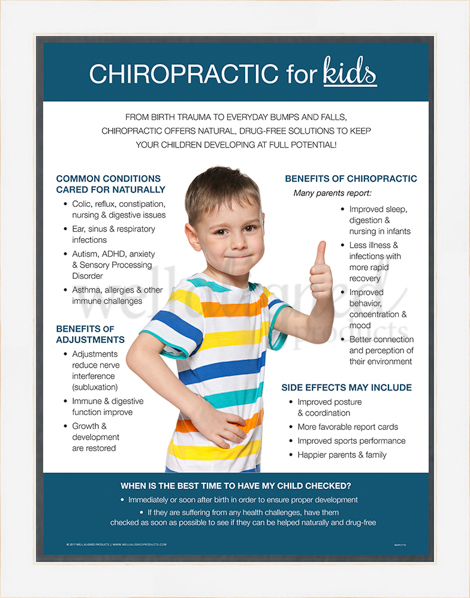 Kids benefit from chiropractic as much or more than anyone! 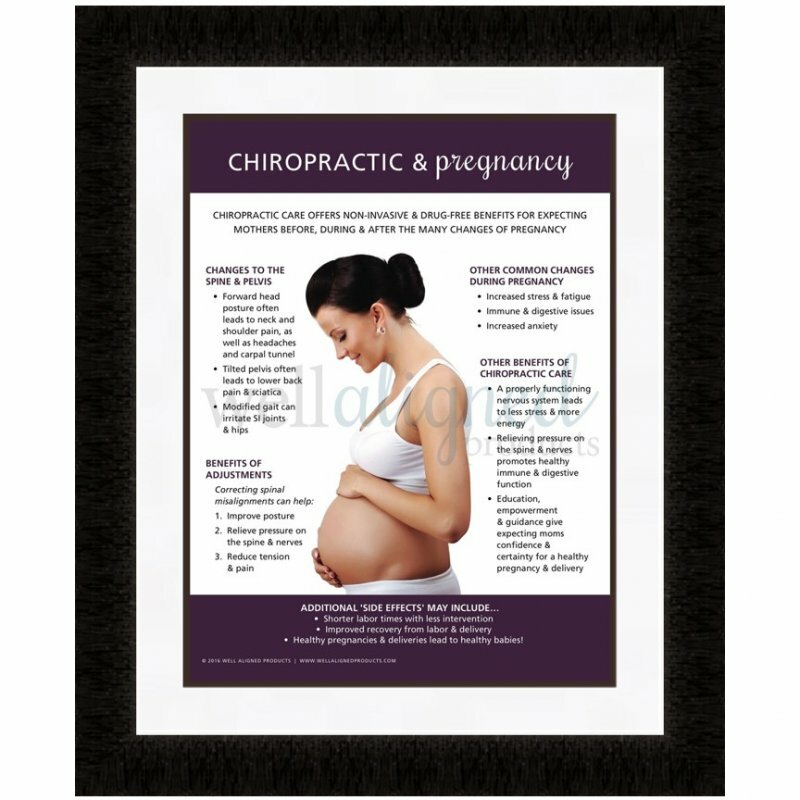 This design is also available as handouts, and is the perfect visual compliment to our Pregnancy & Chiropractic products for a busy family wellness practice. Clean, modern, and simple. 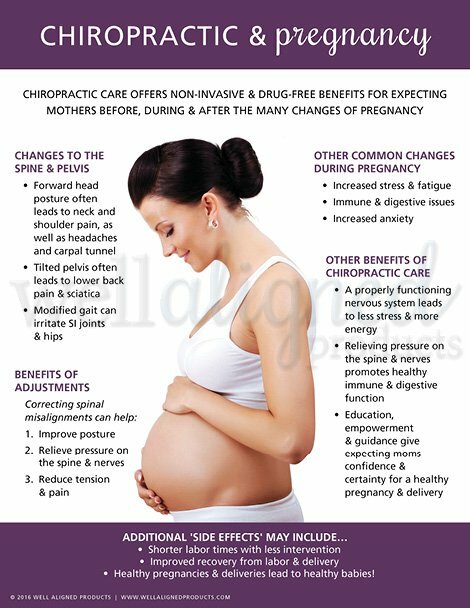 Help your patients understand the changes to expect during pregnancy, and more importantly – how chiropractic care can help them get aligned and adapt to those changes and stresses. 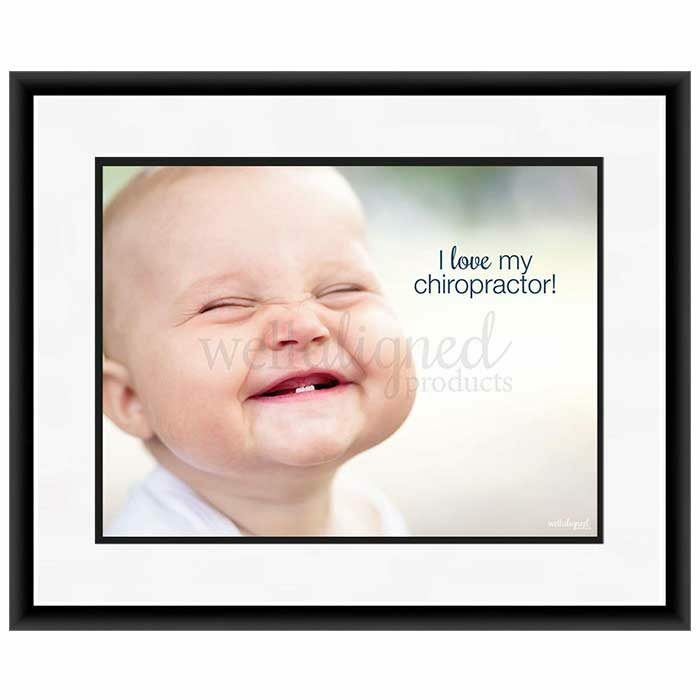 Patient education, empowerment, and regular chiropractic care are the perfect combo for expecting mothers! 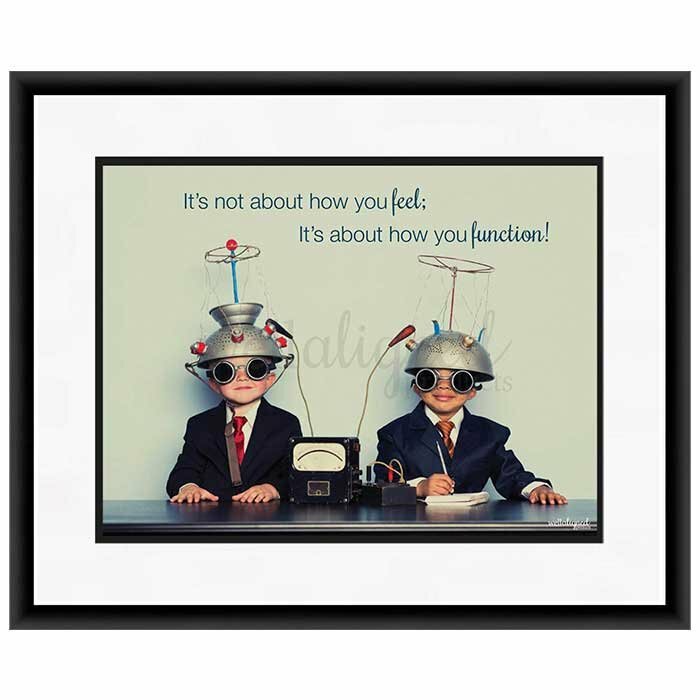 Sold as a 24″ x 36″ poster. 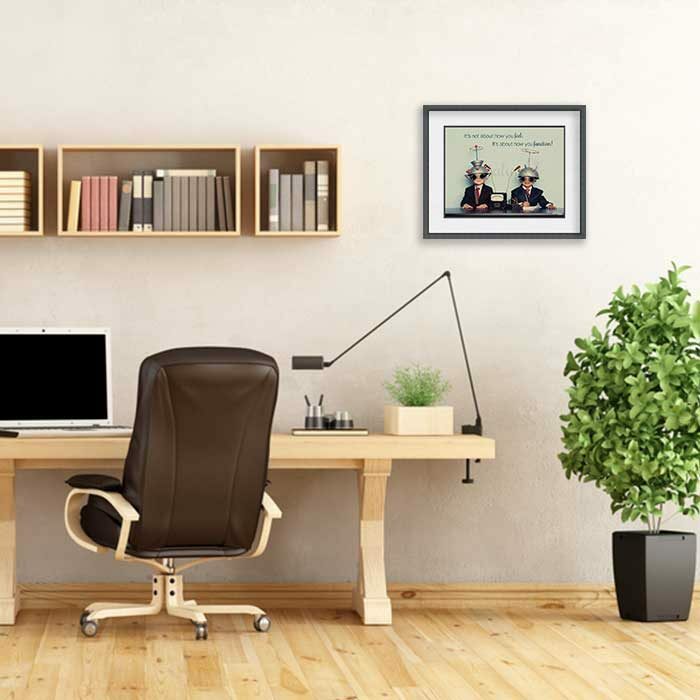 (Frame and mats not included.) 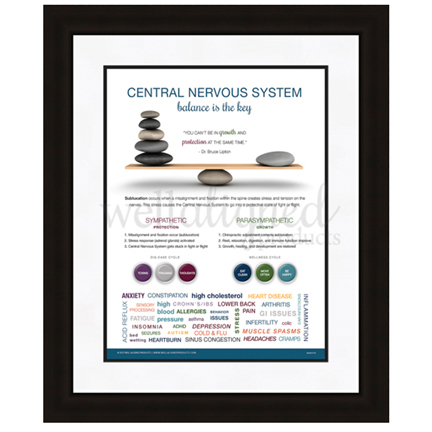 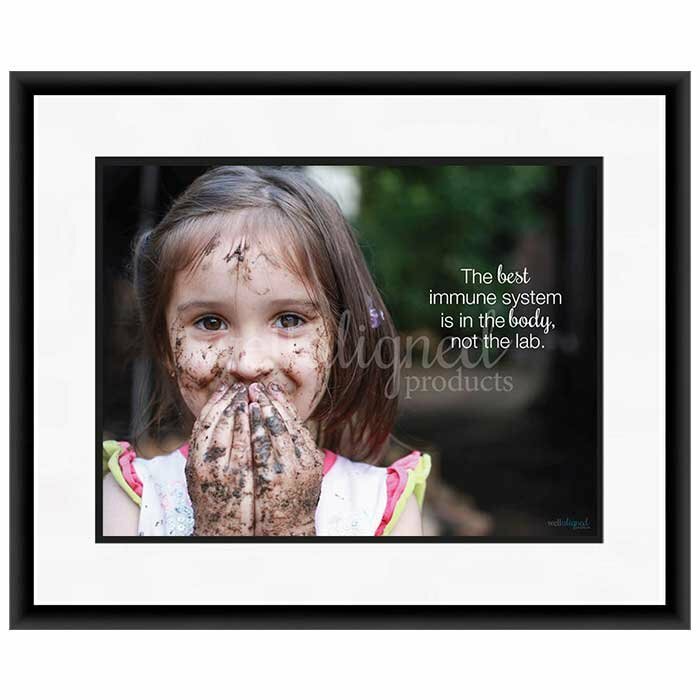 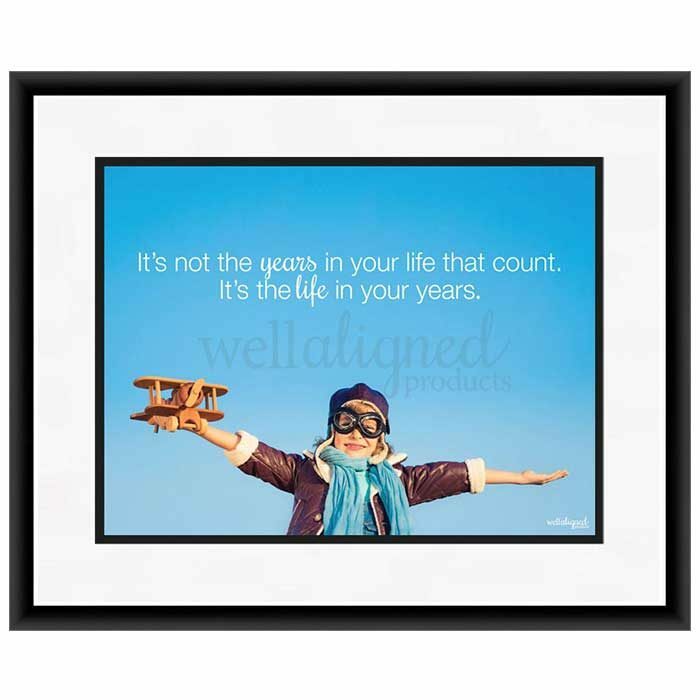 This design is also available as patient handouts or a standard 18″ x 24″ poster. 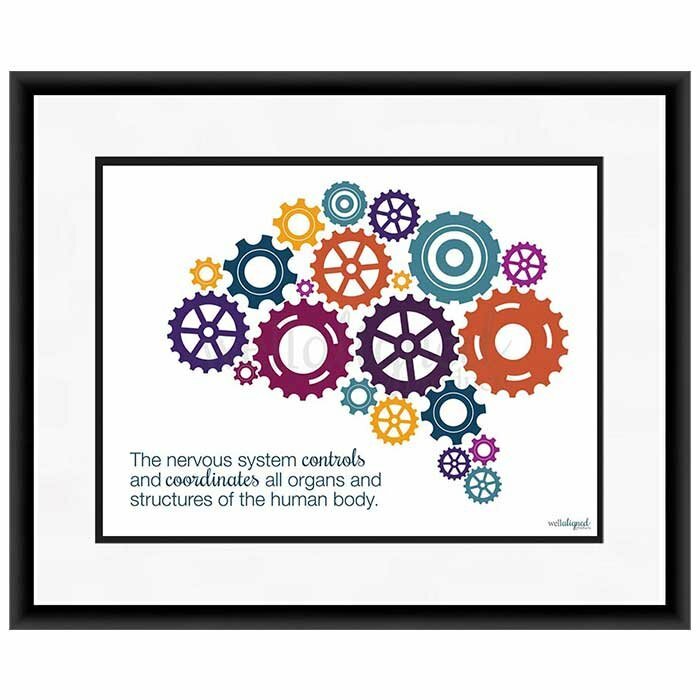 A modern design and simple analogy helps chiropractors quickly explain the importance of the Central Nervous System to new patients. 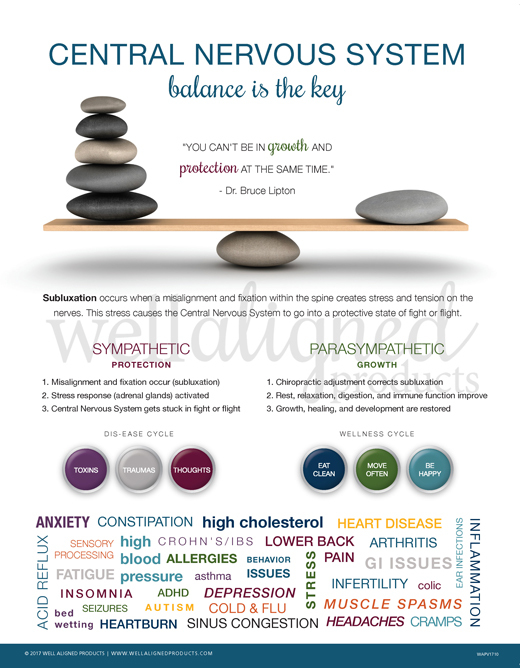 By using the balance analogy and visuals, this piece provides an patient-friendly overview of Sympathetic and Parasympathetic systems beautifully! 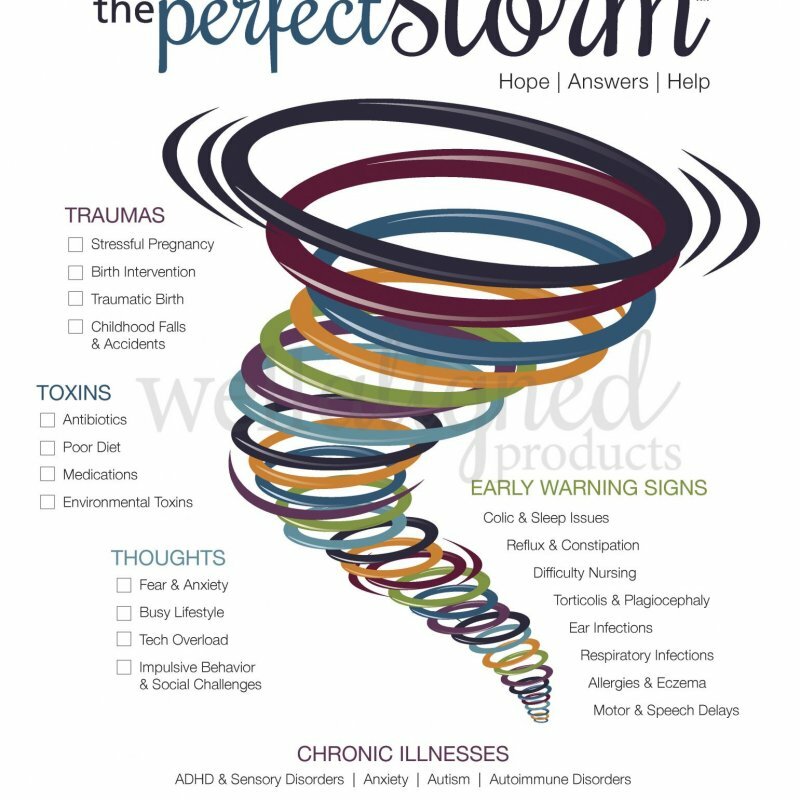 Updated design! 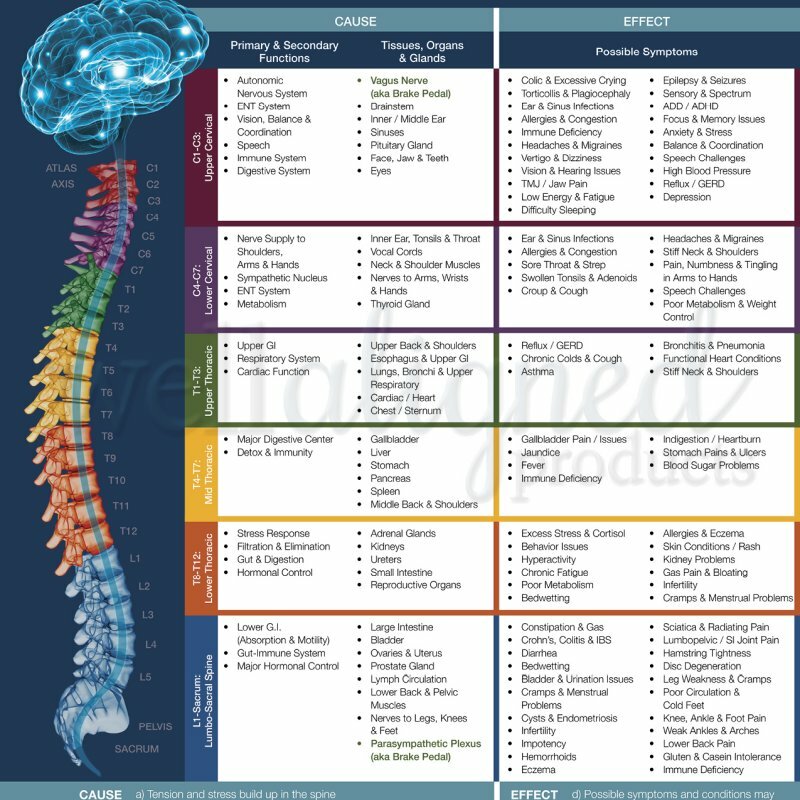 As one of our core new patient products, this analogy-forward design is a perfect addition to Day 1 consultations and Day 2 reports to help you connect the patient’s history (3T’s) to subluxation and neurological stress, and easily teach your patients how chiropractic care can help. 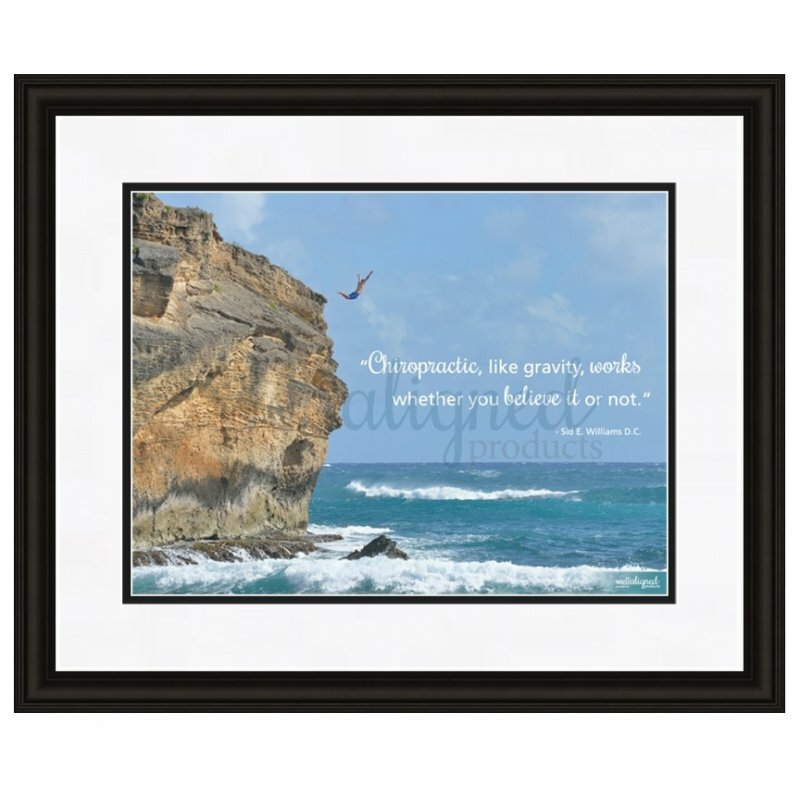 Newly updated! 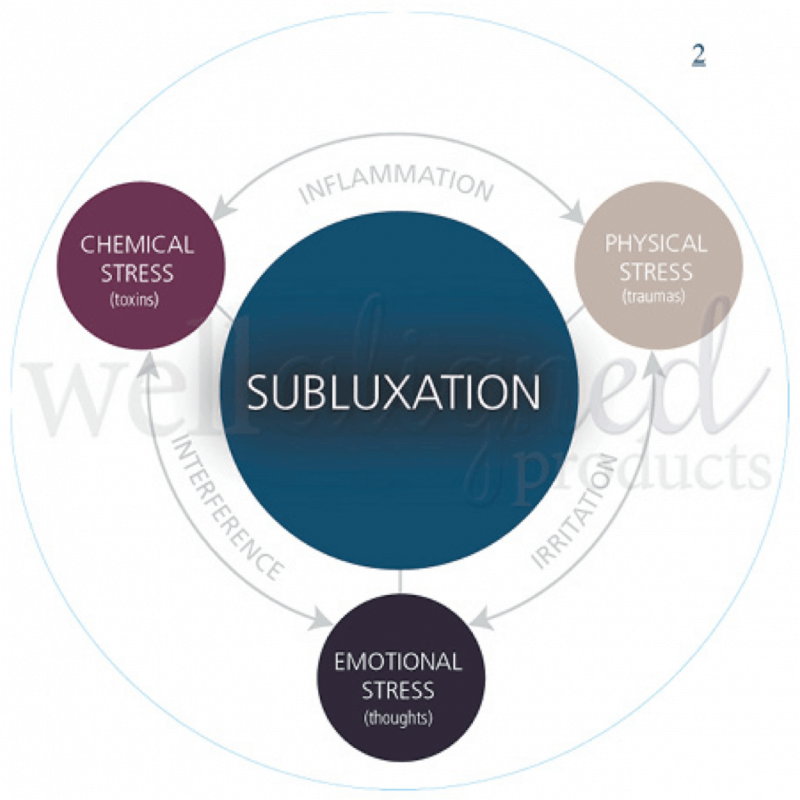 This exciting and modern analogy helps your patients easily grasp the links between the effects of today’s busy lifestyle, and how chiropractic care can help them better adapt to stresses and turn on the power again. 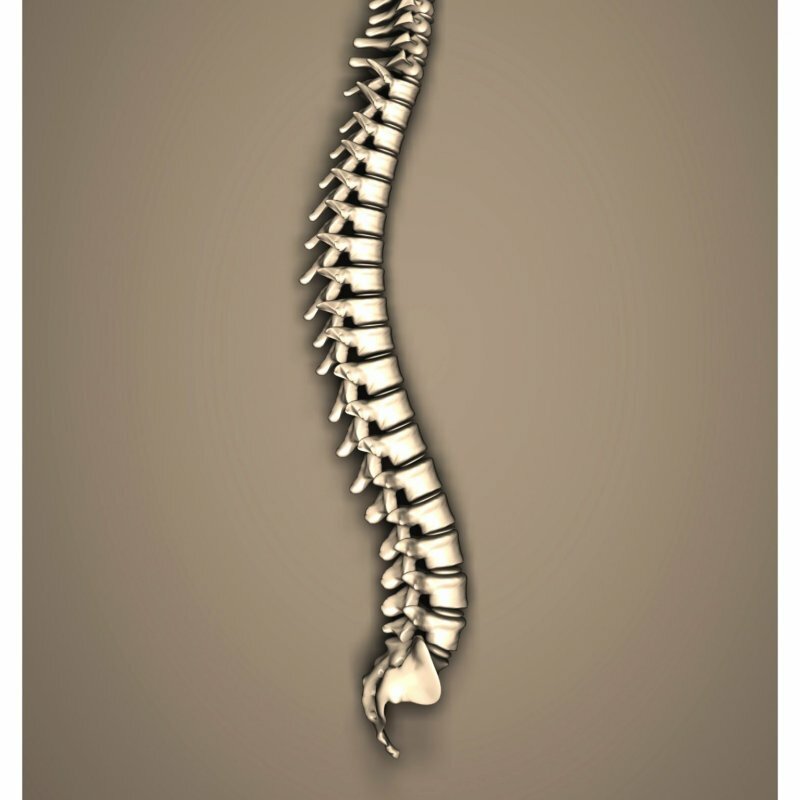 The analogy is simple. 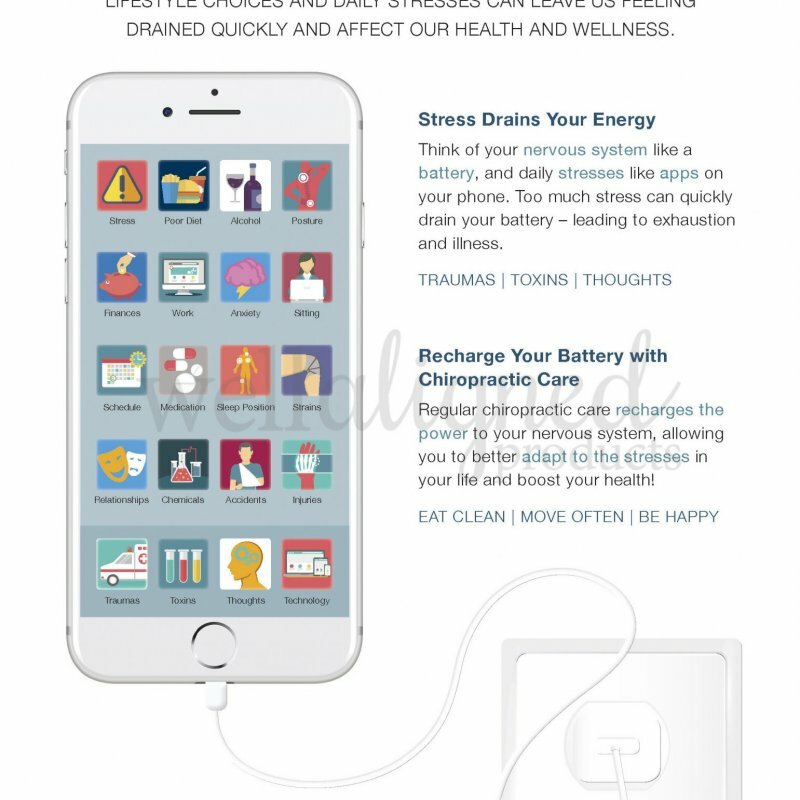 Our nervous system recharges our battery, but all the stresses of our busy lives are similar to the the many apps that drain that battery. 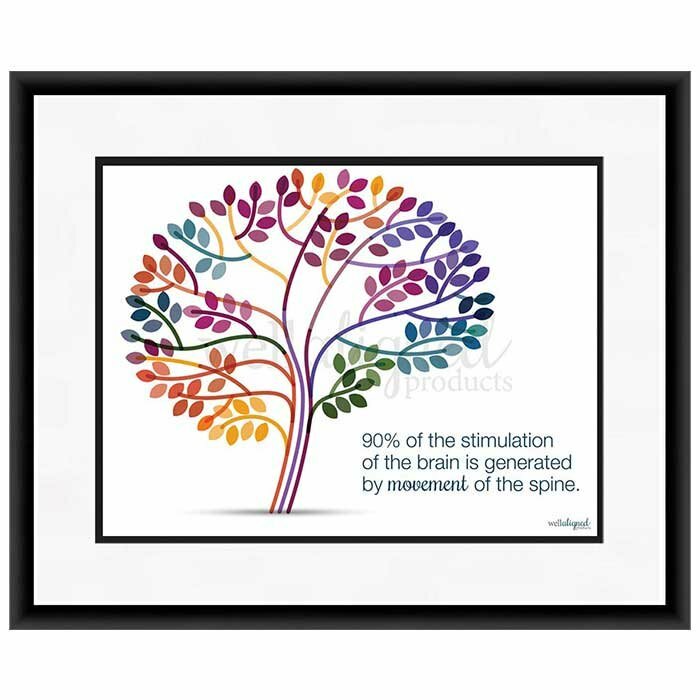 Chiropractic care restores and recharges the nervous system, and allows your patients to better adapt to the stresses of today’s lifestyle. 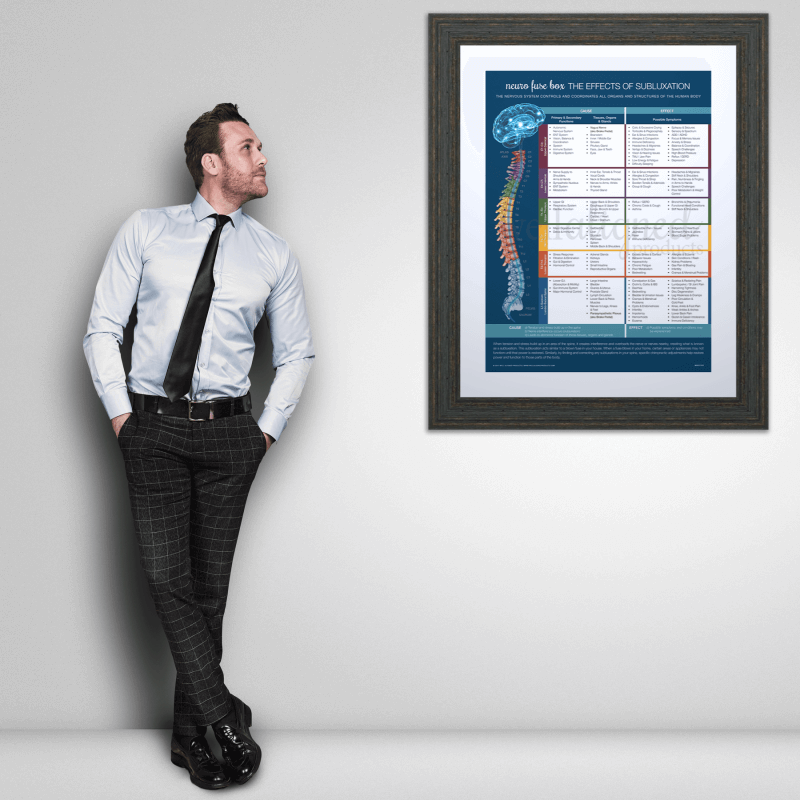 A highly-functional, double-sided, hanging poster that lays out the wellness cycle on one side, and the dis-ease cycle on the other. 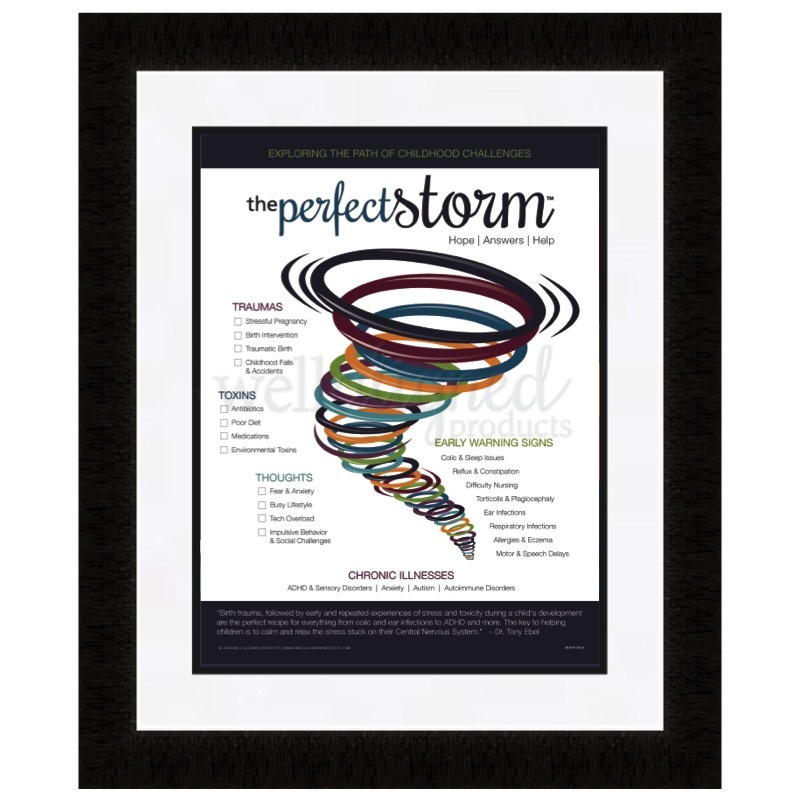 One of the most versatile designs in our product line, docs will refer to this piece during every first day consultation, report of findings, table talk, workshop, and more! 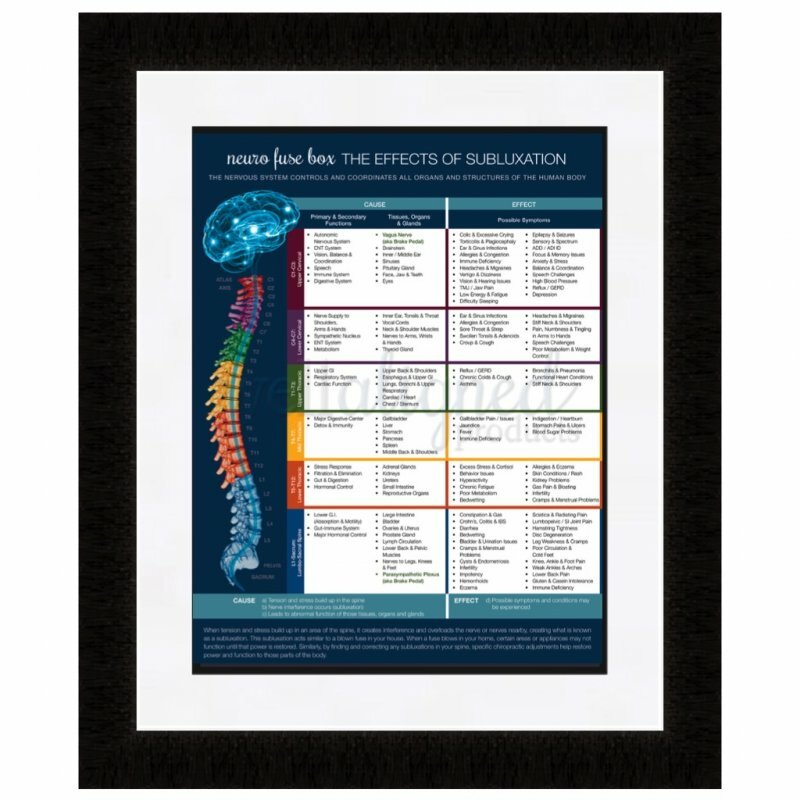 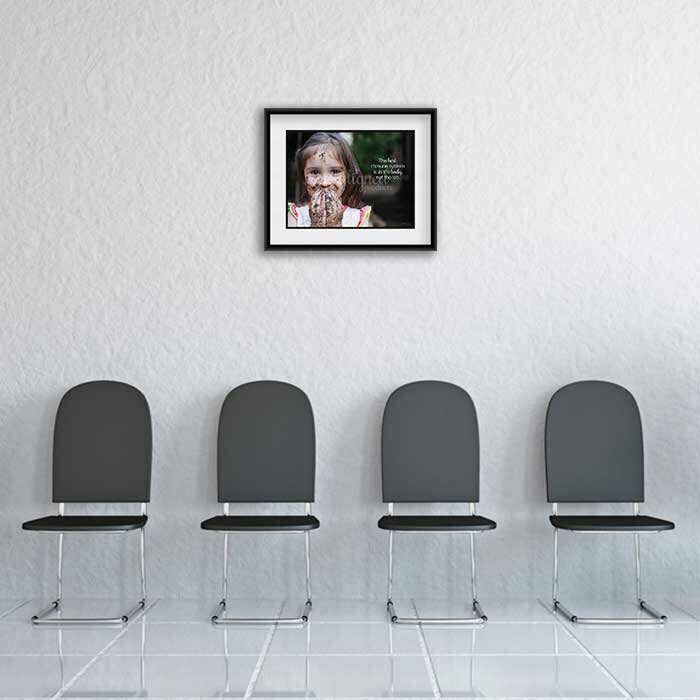 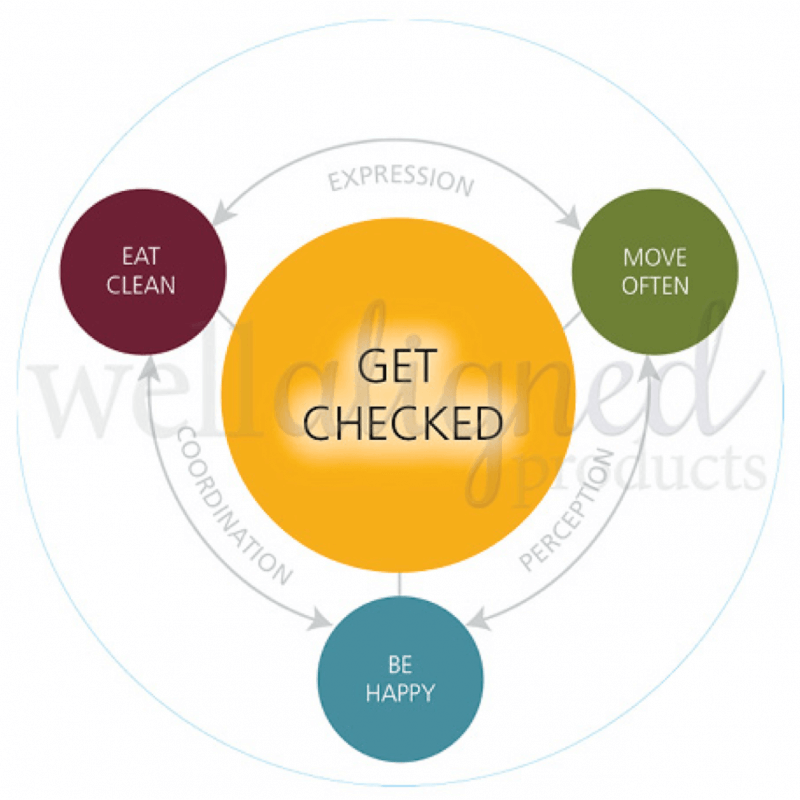 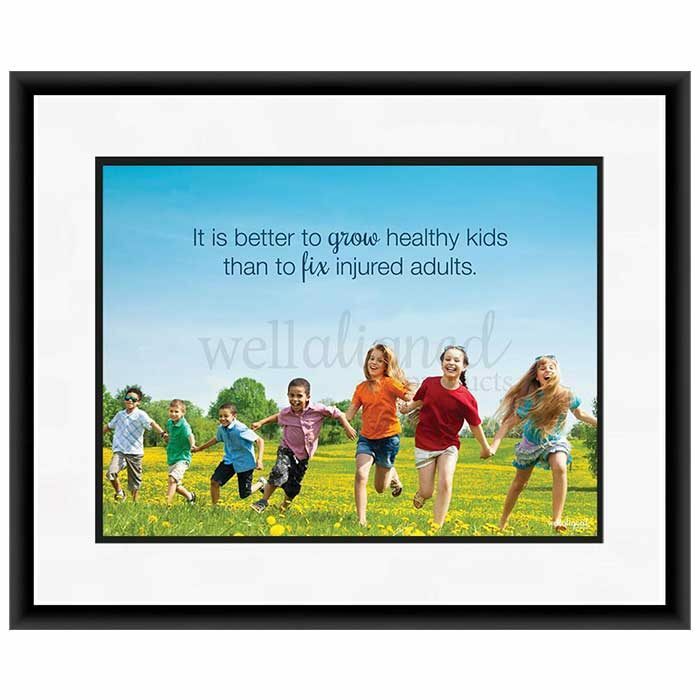 This product is available as an 18″ round poster with the Wellness Cycle (Get Checked) on one side, and the Dis-ease Cycle (Subluxation) on the other. 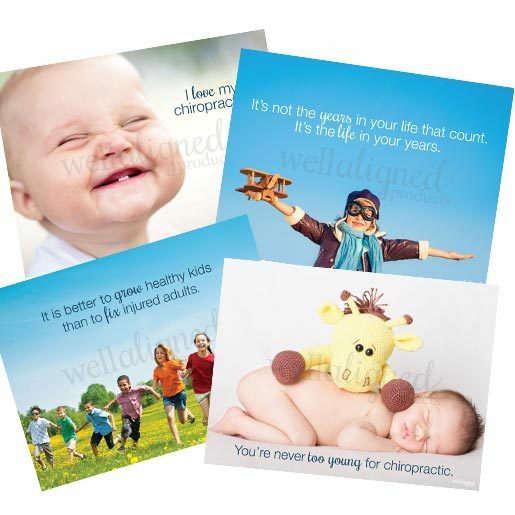 It is also offered 100-packs of handouts. 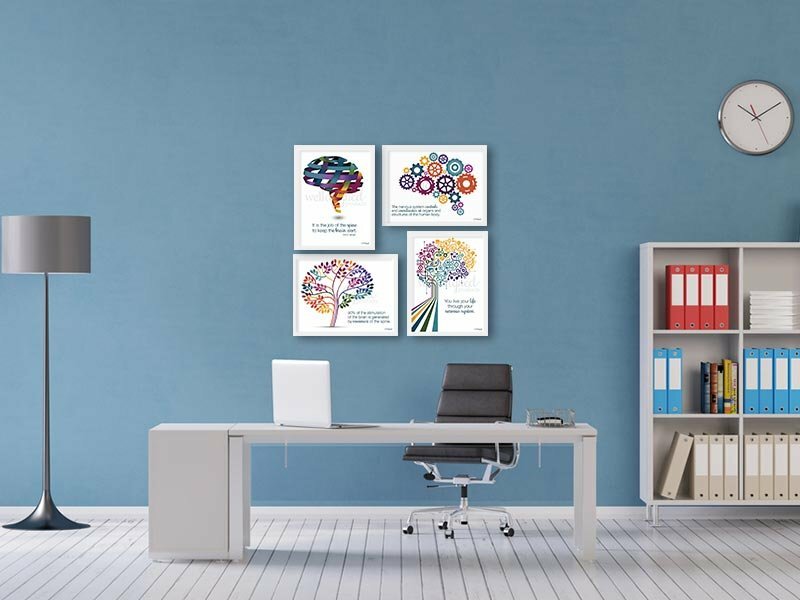 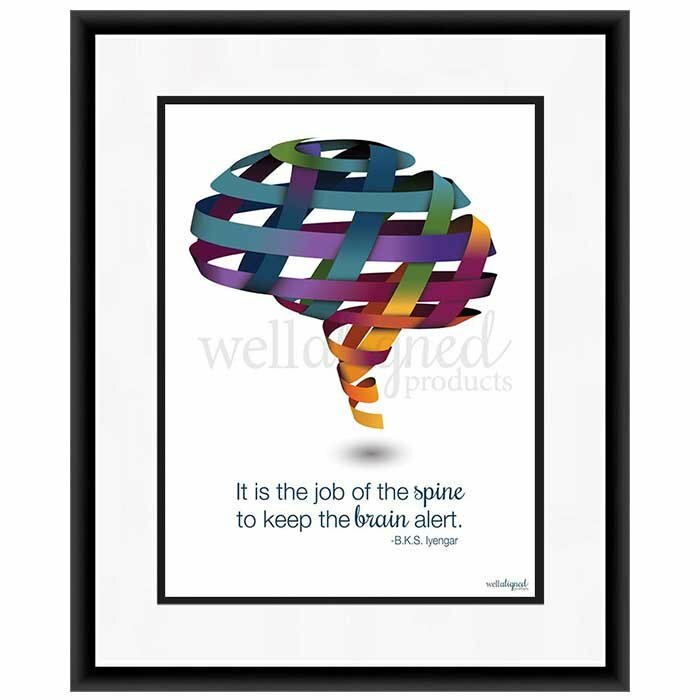 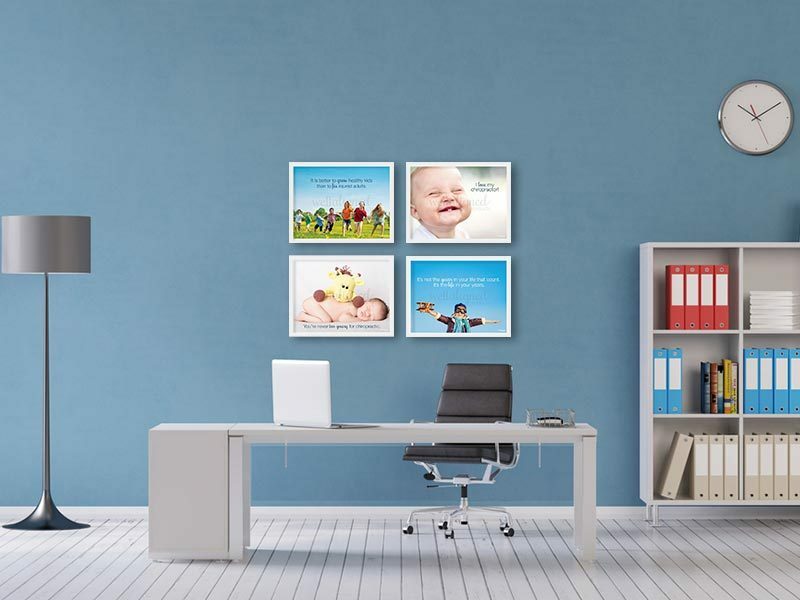 This series of four beautiful chiropractic posters is a perfect addition to any practice. 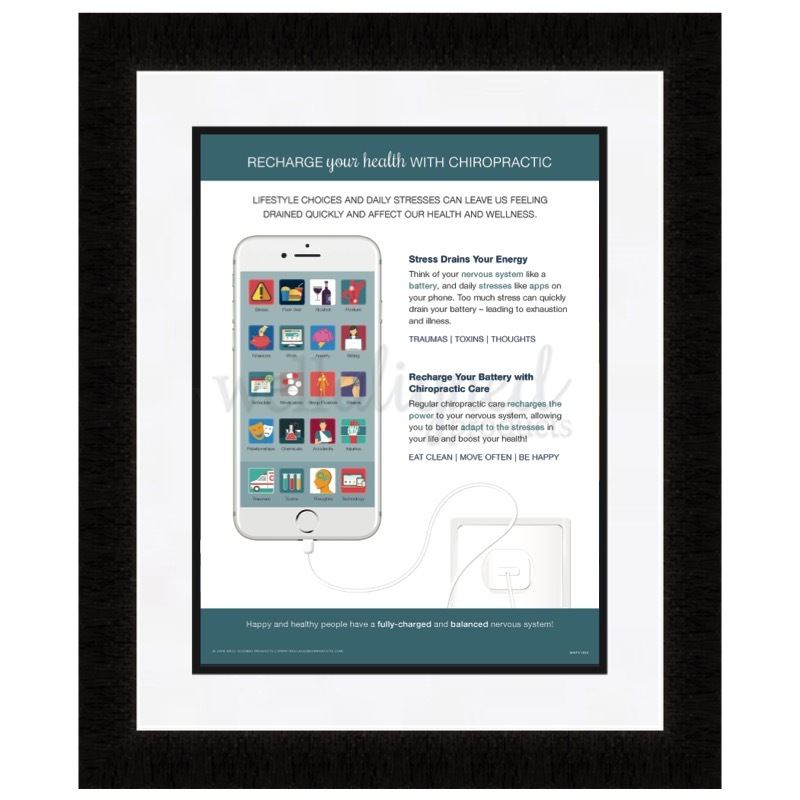 Each 12″x16″ poster is printed on high-quality paper, and the designs were curated to balance perfectly with the others in the series. 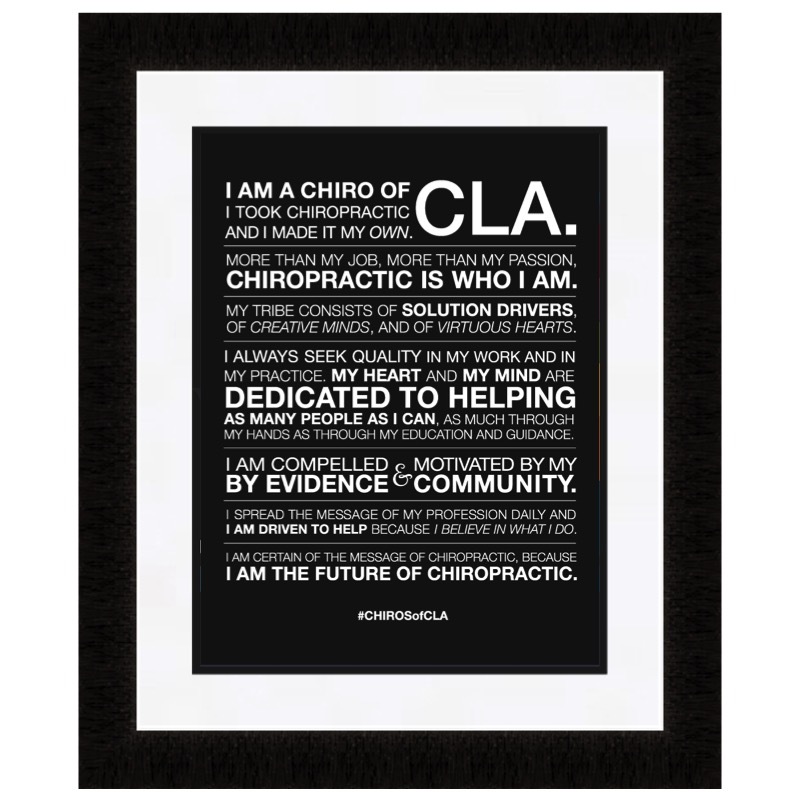 Join the #CHIROSofCLA movement with this manifesto written by Dr. David Fletcher of CLA, and professionally designed by Well Aligned Products! 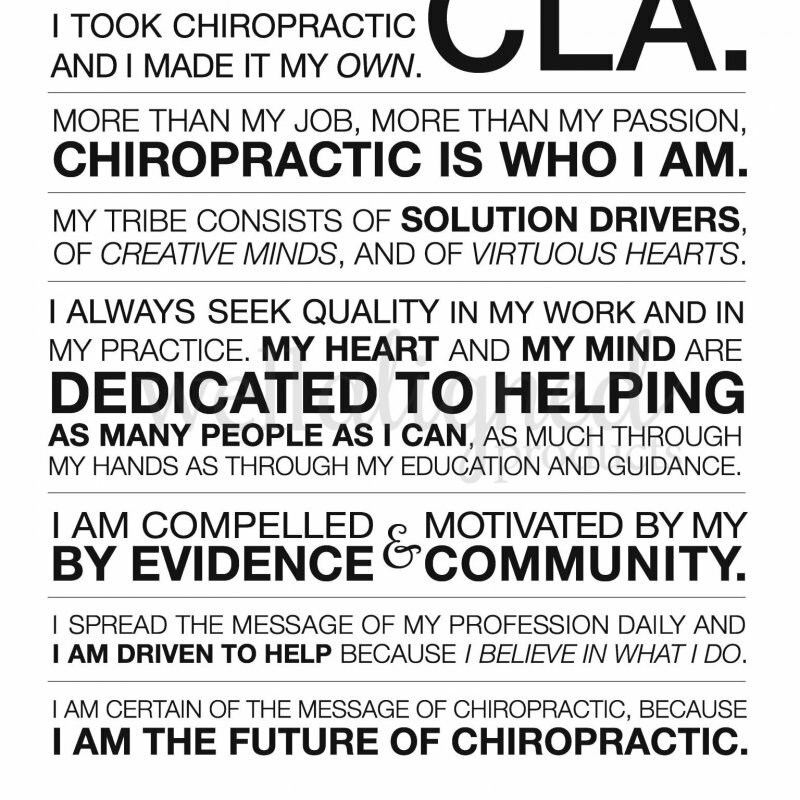 A congruent statement of what sets a CLA scanning practice apart from other chiropractors with a clean and modern design. 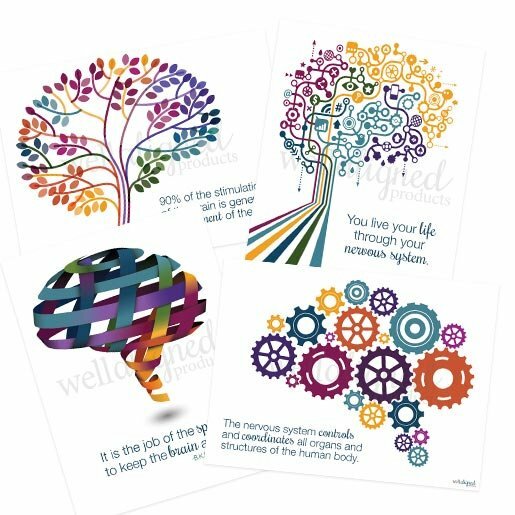 Each 12″ x 16″ poster includes both black and white versions of the manifesto on opposite sides so that you can choose whichever style you prefer! 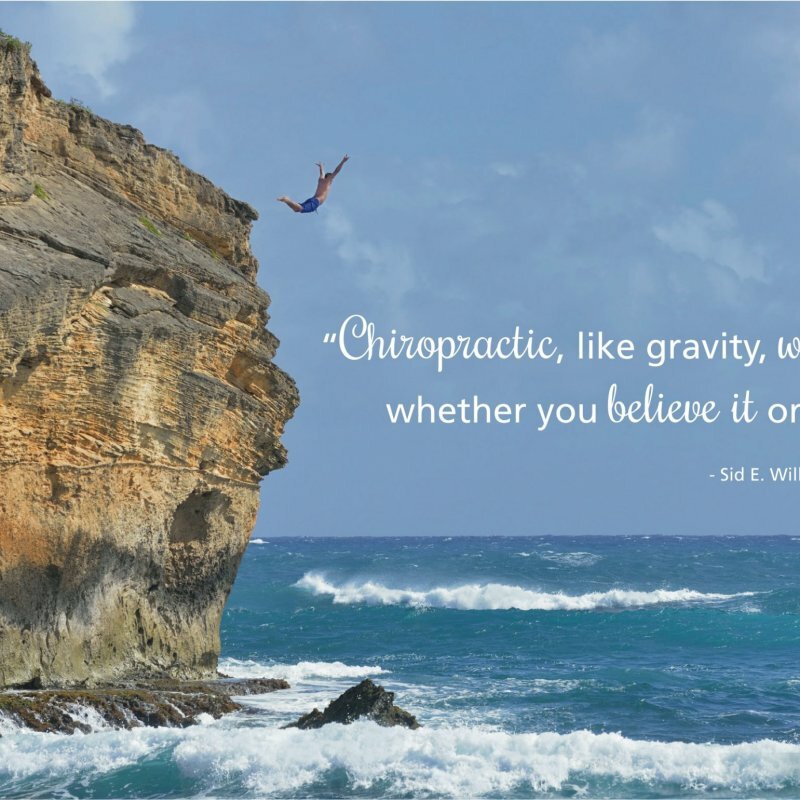 “Chiropractic, like gravity, works whether you believe it or not.” – Sid E. Williams D.C.